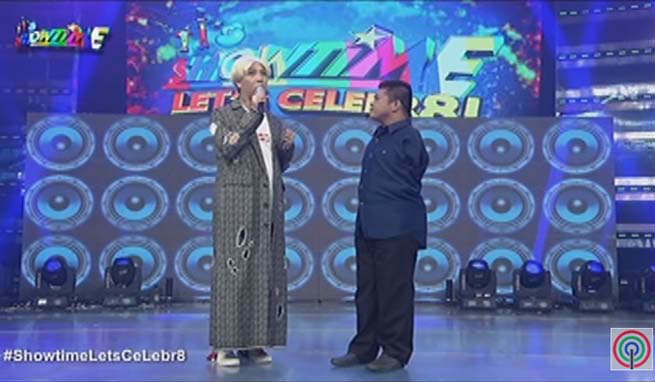 In celebration of their 8th year anniversary, “It’s Showtime” host Vice Ganda helped a disabled barker named Michael Ashie Sta. Ana, fulfill his dream. The Kapamilya host graced the show’s stage together with a disabled but talented barker hailing from Bacolod City. According to Vice, he noticed Sta. Ana through a viral video online that showed off his hidden talent. Vice even gave Sta. Ana a laptop and speaker, hoping that it will help him write more songs in the future.